Hello! I would like to open cosmetology salon. Do you have an experience in this business? There are too many options in beauty salon equipment. Could you give me an advise? What companies are more reliable to buy 15-In-1 multifunction facial machine and Rf facial machine for home use? What was OPI thinking with some of these? 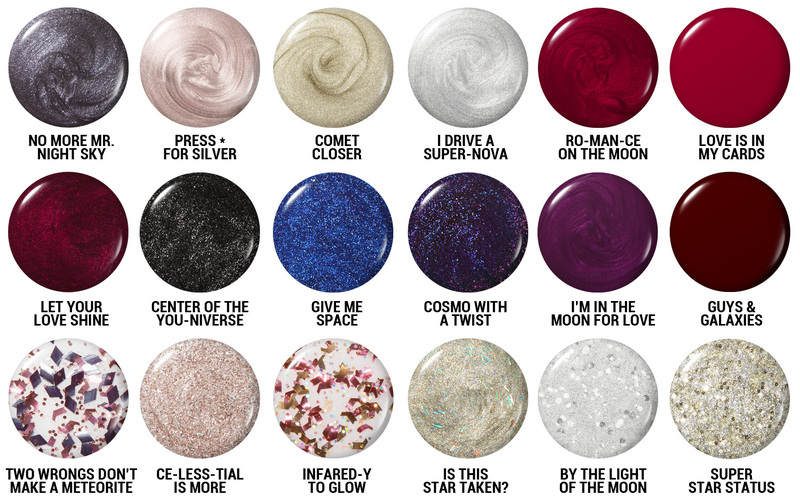 Besides that, Mr. Night Sky and Give me Space are nice, Let your Love Shine is a classic OPI holiday red. But Cosmo with a Twist, I'm going to stalk my local shops for this beauty. Plus, my boyfriend's name is Cosmo :D! Use this website to get the best discount codes for all your favourite stores. One is: COSMO WITH TWIST, & Second is: BY THE LIGHT OF THE MOON. These looks more decent and cultured... as I got few more things. There الاستثمار في جورجيا - استثمار عقاري سهل وفعال on this site.. They have a good sense in coloring..
Amazing textures! The colors are so vivid and contrasting. Thanks for sharing. Stay up to date and let things be within your reach bring a wide smile on the face of the customers. With http://www.alexbergs.com/"> by your side you can make all the right moves where your shopping for anything of desire come within your reach. This platform has always been making all the right moves to let people avail the concessions which every savvy patron aims at.